Lars Stindl inspired Borussia Mönchengladbach to a come-from-behind win at Bayer Leverkusen on Matchday 18. Club captain Lars Stindl was the catalyst for Borussia Mönchengladbach's remarkable, come-from-behind 3-2 win at Bayer 04 Leverkusen on Matchday 18. Stindl earned 16 Official Fantasy Bundesliga points on Matchday 18 - sign him up by clicking here now! Without a win away from home all season and 2-0 down, it looked bleak for Gladbach and new coach Dieter Hecking at the BayArena at half-time. The Foals came out of the dressing rooms a different side, with Stindl scoring two fine goals to level proceedings at 2-2 after 58 minutes. Raffael found the net 13 minutes later to conclude a superb, come-from-behind win, but it was Stindl who was the travelling fans' darling come full-time. Vote Stindl for #BLMVP on our Twitter channel now! This was Stindl's first brace for Borussia Mönchengladbach.The former Hannover 96 forward had the most shots on goal (three) of any player at the BayArena. 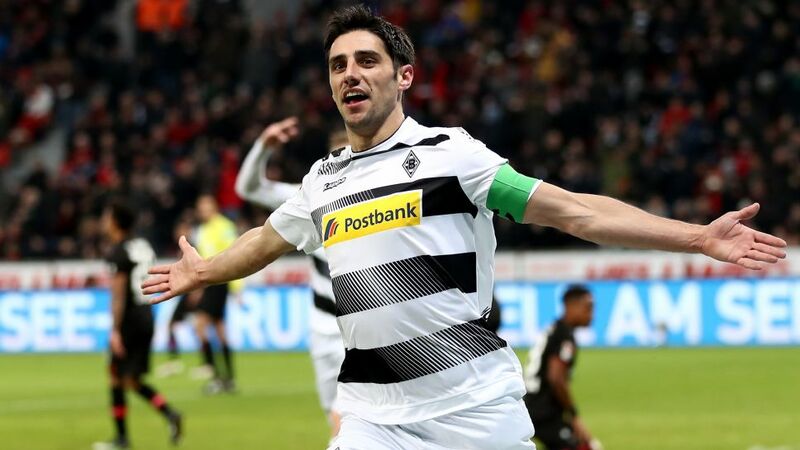 His five goals so far make Stindl Gladbach's top scorer this season. Head to the Leverkusen vs Gladbach match centre for more on this fixture.